Bonnyrigg Rose stormed back to the top of the Superleague with an impressive 4-1 victory over fierce rivals Linlithgow Rose. Ruari MacLennan cancelled out Lee Currie’s terrific free kick for the visitors before Scott Gray put them back in front before half-time. Wayne McIntosh bulleted in a third with his head and Lewis Turner added gloss to the scoreline with a fourth. 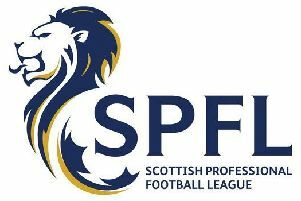 This victory was a major step towards the Superleague title for Bonnyrigg as they moved above Penicuik Athletic by a point and with three games in hand. Linlithgow, in fourth, are six points behind Bonnyrigg but with a game in hand on David White’s men. The visitors took just six minutes to open their account at Prestonfield last Saturday and it was courtesy of another brilliant free kick from Currie. It is fast becoming a trademark of Currie’s this season and it never looked like going anywhere but the back of the net when he stepped up 25 yards and delivered an unstoppable finish. However, their lead lasted barely five minutes as MacLennan profited on a loose pass in the middle of the park and raced away before rounding keeper Andrews to level the scores. The pendulum swung once more in favour of Bonnyrigg who restored their lead through Gray on 33 minutes. Good play down the right enabled Stewart to deliver the ball into the danger area and Scott pounced to put the Midlothian side in front. The second half saw a strong performance from the hosts who piled on the pressure but it was Bonnyrigg who had the firepower up top and made it count. In 63 minutes substitute McIntosh replaced Kyle Wilson and in 70 minutes Turner came on for Scott Gray as boss White rang the changes. The substitutes would prove pivotal as the third goal was not long coming after the switches were made. McIntosh headed home a Currie corner and just two minutes later it was four as Nelson played in Turner who slotted the ball home following a mistake in the hosts’ defence. It was a huge three points for Bonnyrigg and they will be hoping to follow up that victory with another over Newtongrange Star this Saturday in a tasty Midlothian derby.